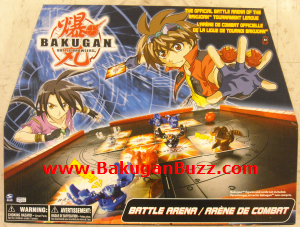 The bakugan battle brawlers game is played somewhat like marbles as small balls are rolled onto a playing field. Thus a good playing surface is a must when playing the game. So far they have come out with 3 different "Arenas ". 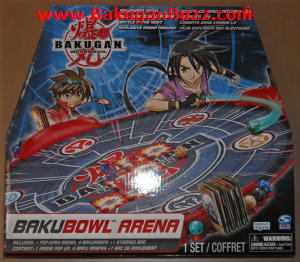 The last arena just came out and is the Bakubowl. 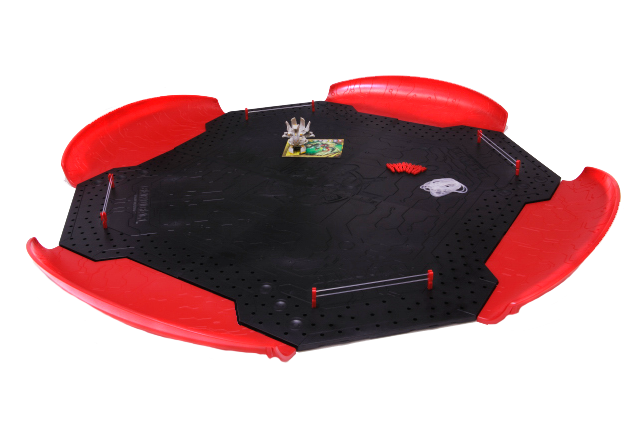 This is a large round playing field that has 4 "ramps" along the outside edges. 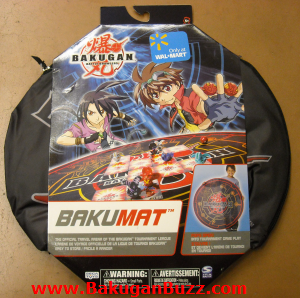 This is basically the Bakumat ( with carrying case ) with the addition of the ramps. 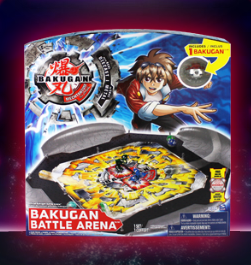 This new addition allows for some different rolling strategies as the bakugan can roll up the ramp and change direction back into the playing field. 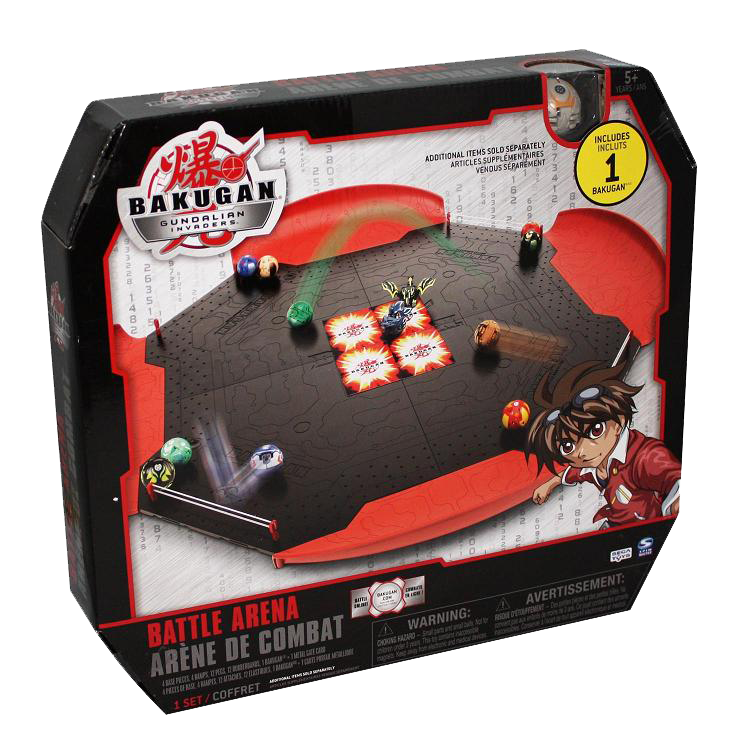 The ramps also double as bakugan and card holders ( each holds 6 bakugan and 10 cards ) This retails for $25.99.